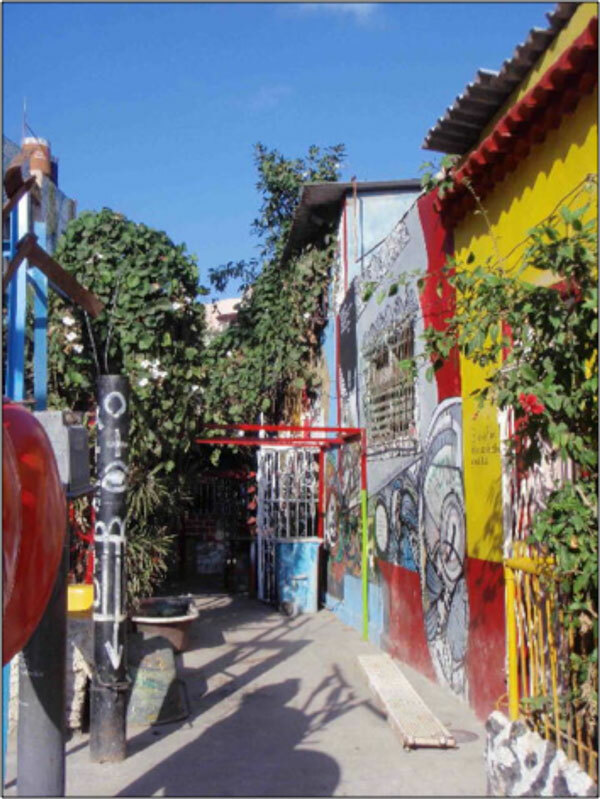 This week we highlight Isabelle Anguelovski’s 2011 PhD dissertation, which seeks to make a unique contribution to the field of environmental justice by presenting the holistic environmental revitalization of three marginalized neighborhoods across contexts of urbanization and political systems in Boston, Barcelona, and Havana. Isabelle develops a new framework for understanding urban environmental justice and for planning just and resilient cities. Callejón de Hamel, Cayo Hueso, Havana. As local activists repair community spaces, build new parks and playgrounds, and develop urban farms and gardens, they address grief, fear of erasure, and suffering in a neighborhood that they may have previously considered as a war zone and destroyed place. Environmental projects are a means for nurturing the community and building a sense of rootedness and home. They create safe havens and refuges for residents. They also offer a strong cathartic and soothing effect away from the pressures of city relations and processes of urban change, while bolstering residents’ ability to deal with negative dynamics. Eventually, local EJ activism reshapes place and community and constitutes the occasion to question, realign, and recreate (positive) local identities. In other words, Isabelle argues that both physical and psychological dimensions of environmental health must be taken into consideration to rebuild historically distressed and degraded urban communities. Check out the full dissertation and share your thoughts on this topic in the EPP Facebook Group! Posted on October 15, 2012, in environmental justice, international sustainability and tagged Barcelona, Boston, cities, environmental justice, Havana, urbanization. Bookmark the permalink. Leave a comment.